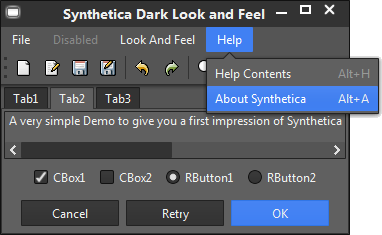 After a pretty long phase of development we are pleased to finally announce the release of Synthetica V3.0.0. For being JPMS compatible the package structure in V3 was reorganized, which also means that V3 is no longer backward compatible. However, class names are unchanged so your preferred IDE should be able to easily update all package imports of your application. All modules of Synthetica V3 are listed below. For proper execution without any errors/warnings make sure to pass the arguments below to the JVM. Note: When using SyntheticaAddons some additional arguments are required - for more details take a look at SyntheticaAddons 'README.TXT'. All theme packages have been reorganized for being JPMS compliant (no split-packages). A complete list of available theme classes can be found below. Note: In Synthetica V3 the core library (synthetica.jar) contains Synthetica core files only, no themes. Since V3 the standard theme is not any longer part of the core library! Only the themes you want to use at run time will be added to the modules graph with --add-modules. 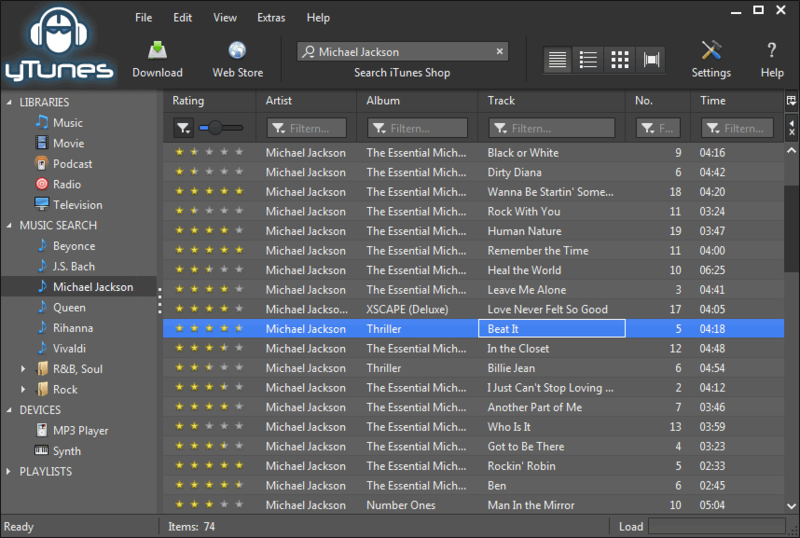 In the example below it's the SyntheticaDark theme. Synthetica V3 requires Java 9 or above - however, in case you have to support Java 6/7/8 and Java 9 you should consider to use Synthetica V2 in classpath mode only.